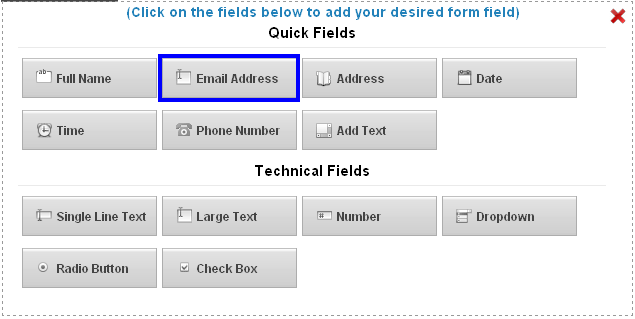 What is the Email Address field? 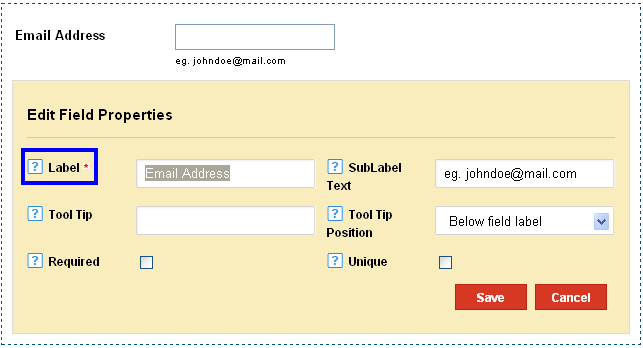 The email address field provides the users a field to enter their email id. It is part of the Quick Fields to ensure easy addition of the field. 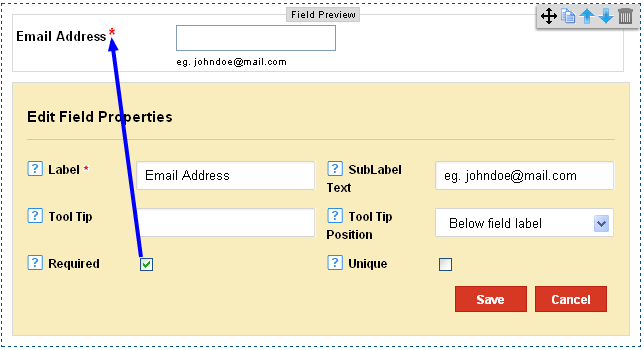 1)Click on Add fields in the Form Editor. 2)In the Add Fields, Click on Email Address. 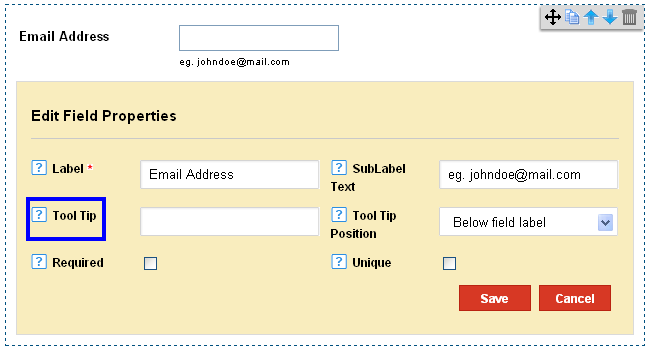 The Label appears as Email address, but can be edited as per your preference. 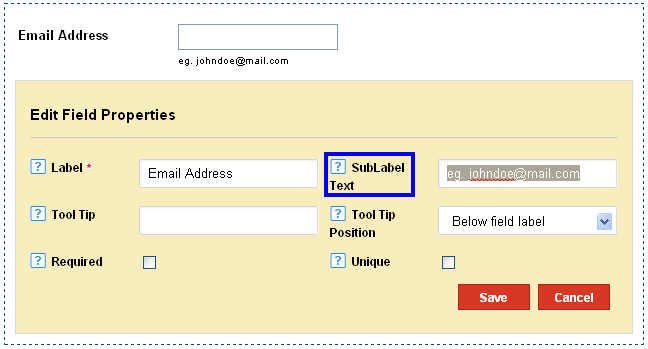 3) Add a Sublabel text. The sublabel text appears below the label, and offers instruction to the requirement of the field. 4) You can also alter Tool Tip Label to on focus, or below field label. 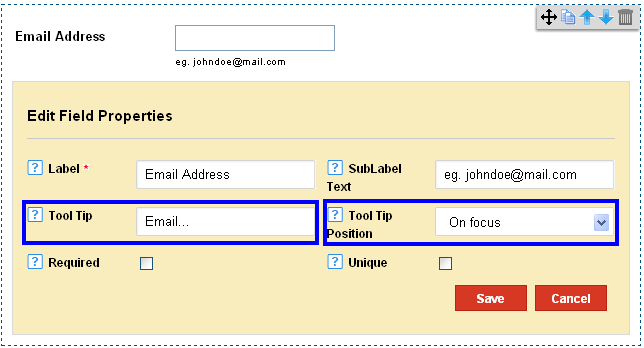 On Focus- A tool tip position will appear when the user points the mouse to the field label. Below field label – The tool tip will be visible below field label at all times. 5) Clicking on the Required Option makes the field a mandatory entry. 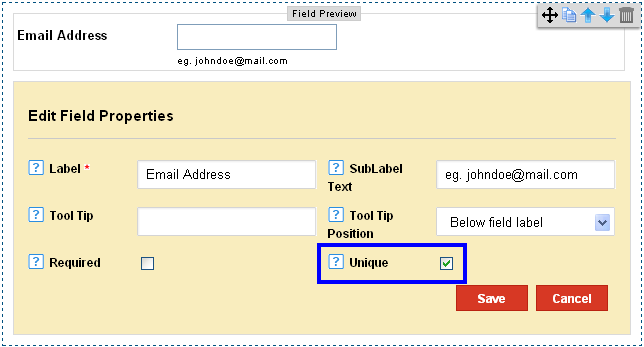 6) Clicking on the Unique Option requires the user to enter a unique entry for the field.